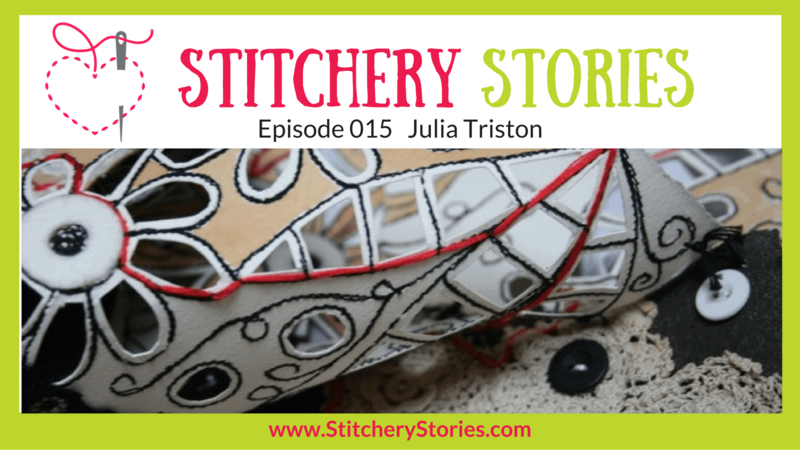 Today on the Stitchery Stories textile art podcast, Julia Triston shares her life in fabric and thread. She chats with Susan Weeks about her enduring fascination with fashion and clothing, and the stories and memories from them that inspire her textile art. 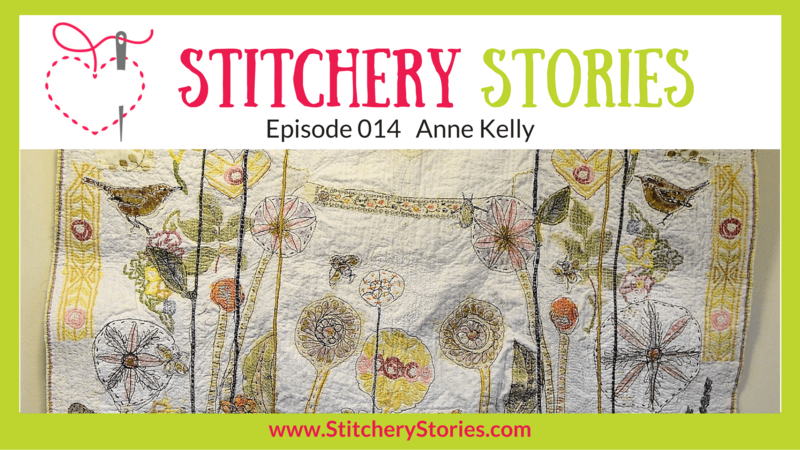 Today on the Stitchery Stories textile art podcast, Anne Kelly shares her life in fabric & thread. She chats with Susan Weeks about her inspiration drawn from everyday objects and textiles, international travel and folk art. 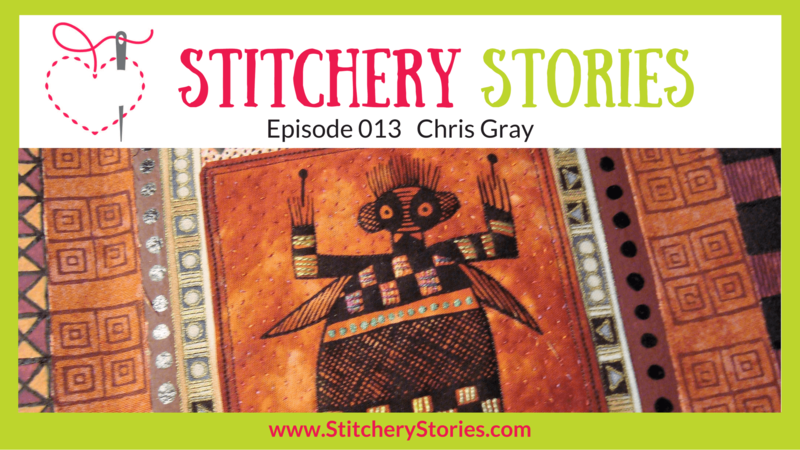 Today on the Stitchery Stories textile art podcast, Chris Gray Shares Her Life In Fabric and Thread. She chats with Susan Weeks about research and inspirations from earlier periods of history, and her desire to present her art on 3d forms. 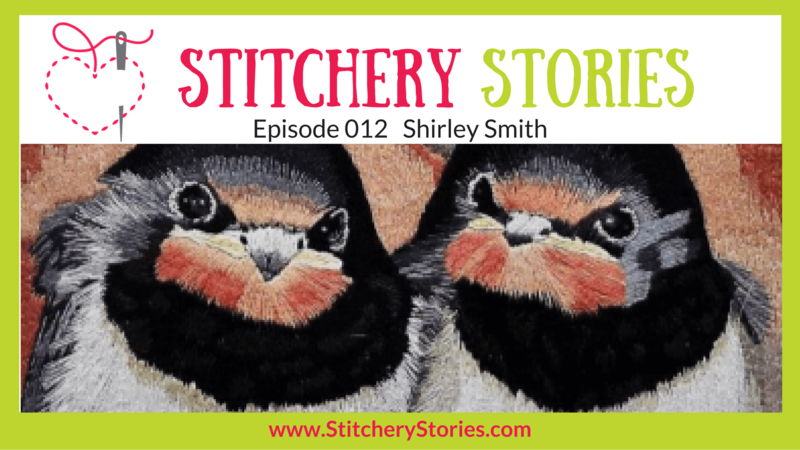 Today on the Stitchery Stories textile art podcast, Shirley Smith Shares Her Life In Fabric & Thread. She chats with Susan Weeks about developing her artistic skills from lace to embroidery, and the friends and community spirit she enjoys within the embroidery ‘world’. Continue reading to discover the highlights of our chat and to see examples of Shirley’s work. 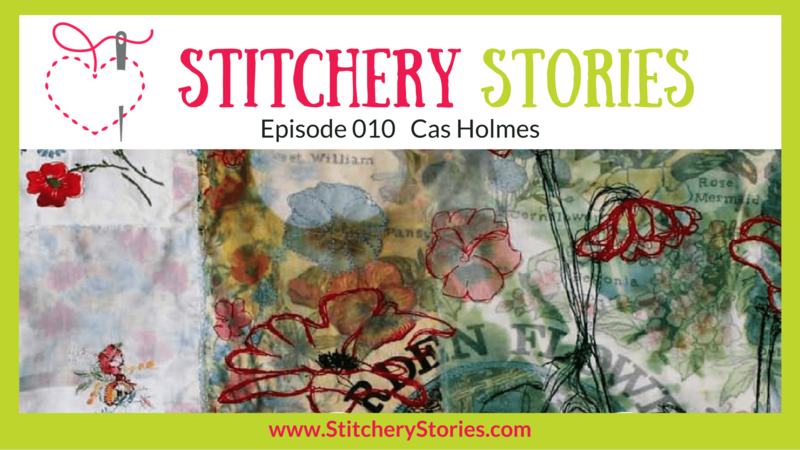 Today on the Stitchery Stories textile art podcast, Cas Holmes shares her life in fabric & thread. She chats with Susan Weeks about her textile art work which is summed up in her own words as being Found-Stitch-Paint. Using those key elements of found materials, stitch and paint, Cas explores the connections between land, place and environment through pieces for exhibition, her tutoring and her books. 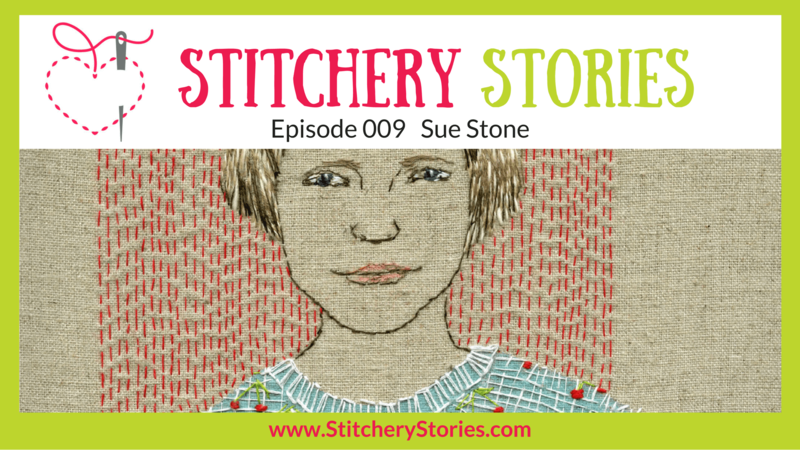 Today on the Stitchery Stories podcast, Sue Stone aka ‘The Woman With The Fish’, Shares Her Life In Fabric & Thread. She chats with Susan Weeks about her journey through fashion, to embroidery, back to fashion to earn a living, and finally back to embroidery and her current achievements. 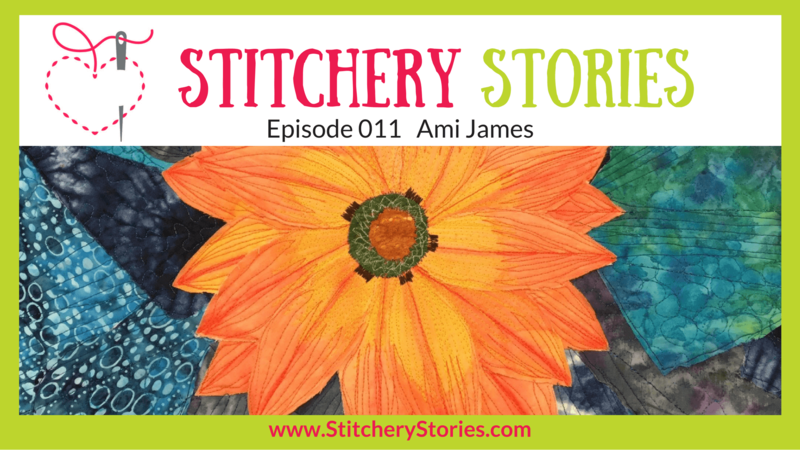 Today on the Stitchery Stories podcast, contemporary textile artist & tutor, Dionne Swift shares her life in fabric & thread. She chats with Susan Weeks about developing rhythm and process as she recreates marks representing landscape not only in textiles but with paper and paint too. 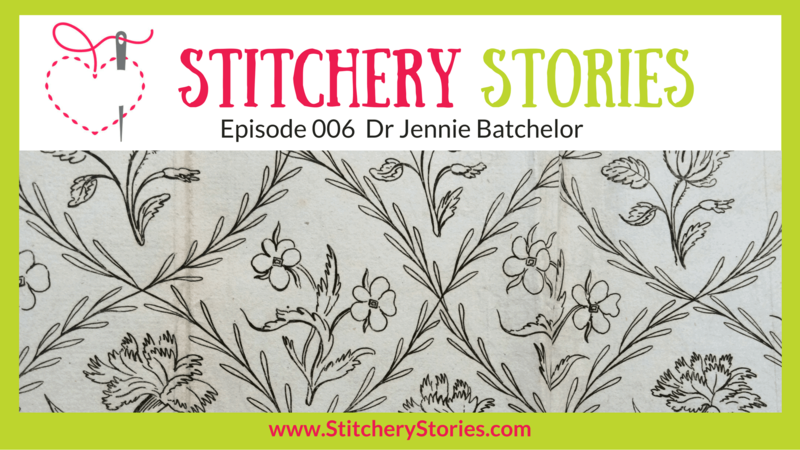 Today on the Stitchery Stories podcast, Dr Jennie Batchelor, shares her research on the embroidery patterns created for The Lady’s Magazine published in the 18th & 19th centuries. 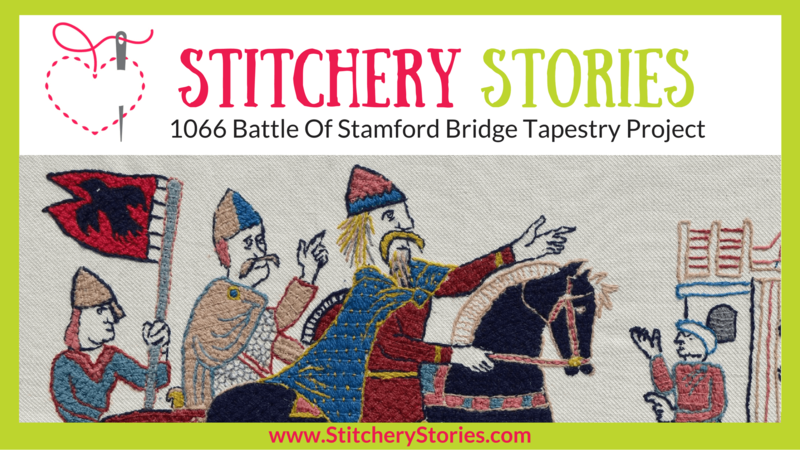 She chats with Susan Weeks about how her 18th century magazine research project at the University Of Kent sparked enthusiasm & creativity in 21st century embroiderers & textile artists as they joined in The Great Lady’s Magazine Stitch Off.